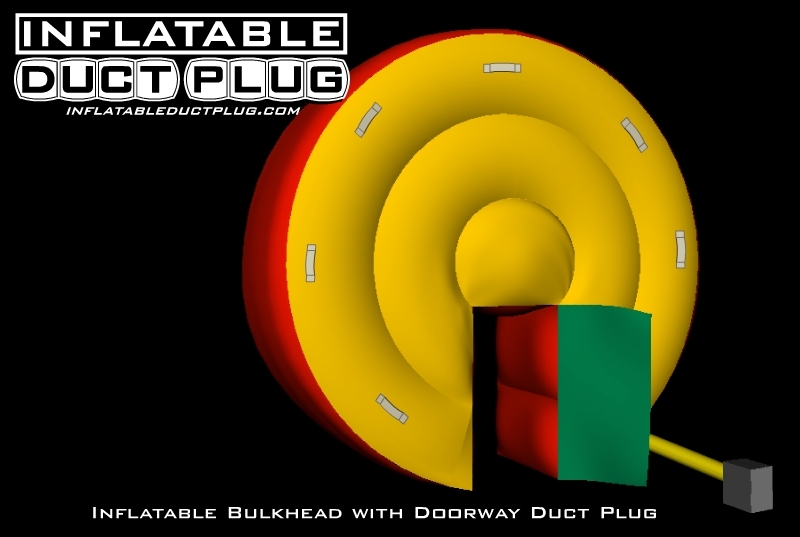 Our inflatable bulkheads provide an effective way to block off access and flow in round duct work, pipes and large supply lines. Sealing off areas with a radius can be very difficult and time consuming using conventional construction methods and materials. These balloons can be made with or without pass through doors. They can also be fabricated with smaller pass through tunnels for cords, hoses, etc. The fabric doorways are secured using 4" wide strips of industrial Velcro or with zippers. Doors can be installed on both sides of the balloon, providing a better a seal. The model shown above has the doorway opening at the very bottom, with no inflatable threshold. 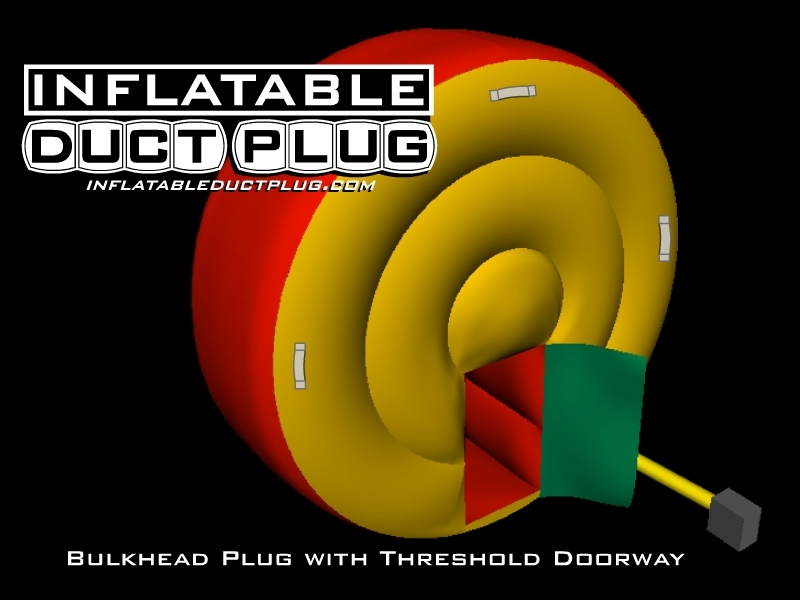 This doorway can be moved up as little as 6-8" to allow the inflatable to seal 360 degrees around the circumference of the balloon. This is shown on the model below.